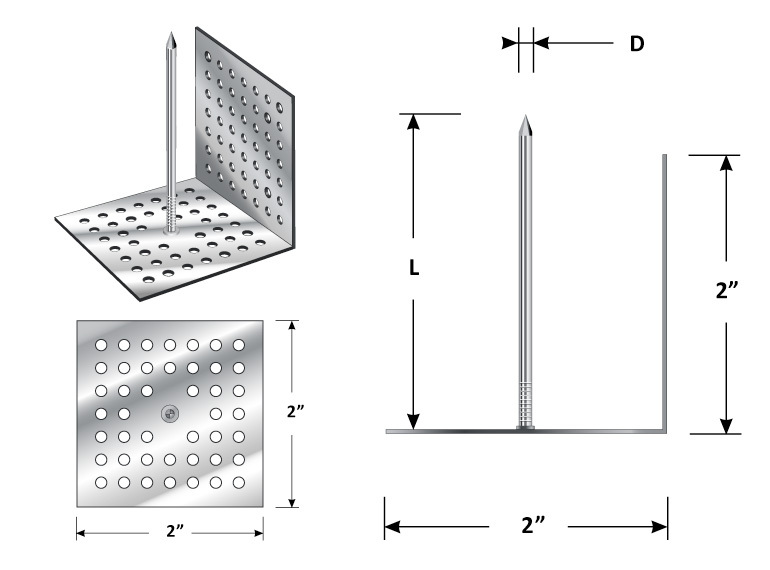 This type of perforated hanger is used for applications that require a 90° angle for installing insulation. The insulation is impaled over the nail and secured with a self-locking washer. 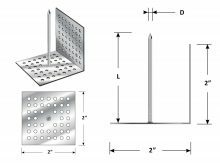 The hanger can be secured with TACTOO® Adhesive or mechanically.